Every flavor of our jams, sauces and bagnas along with a personalized card. Insert Message for Personalized Card. Add an order note comment or special instructions. Give the joy of great flavors to the people you love. 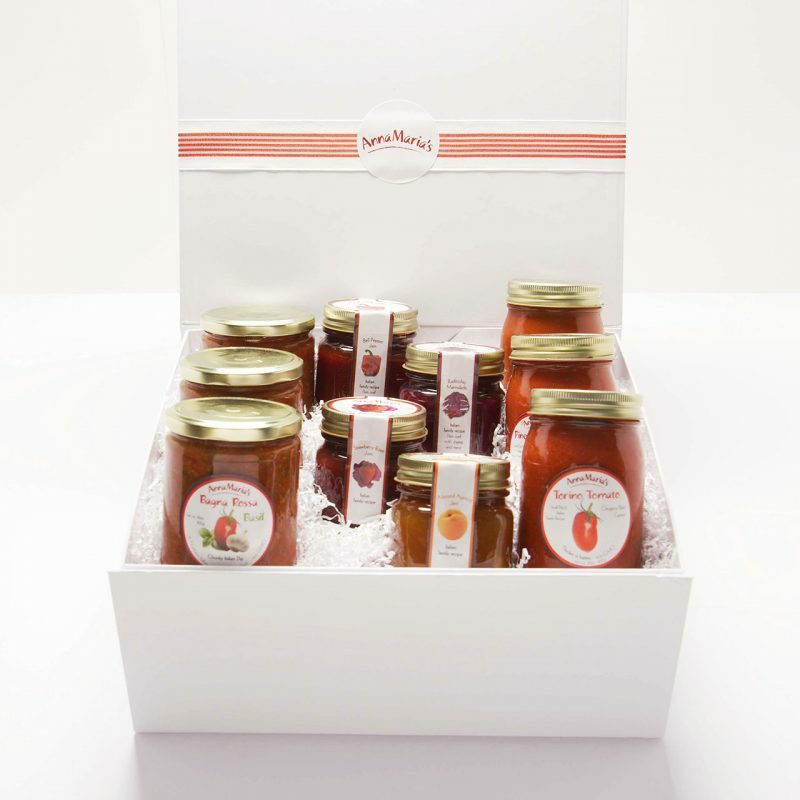 Every flavor of our jams, sauces and bagnas along with a personalized card. Your choice of any 2 traditional sauces, 2 bagnas, and 3 Italian Jams. Chunky tomatoes, peppers, onions spiced and garlic heated up with hot Italian pepper. Your choice of 3 Italian jams and all 3 of our traditional sauces.